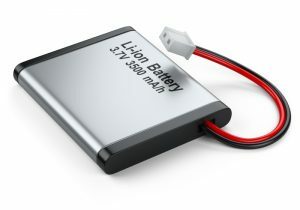 The current breed of lithium ion batteries is providing an unprecedented amount of power for commercial and personal applications while being smaller and more portable than ever before. For example, a lithium ground power unit can be much more easily transported and handled by an airport ground crew because it is more than 40 percent lighter and 30 percent more compact than similar lead-acid batteries. While the current technology in lithium batteries is already quite advanced from previous models, Discovery News reports that new breakthroughs on the horizon might make the current level of lithium power seem like the Dark Ages. According to the report, researchers at MIT have discovered that using carbon nanotubes for one of the battery’s electrodes allowed a lithium ion cell phone battery to significantly increase its longevity and amount of energy that can be stored. Carbon nanotubes could mean that batteries will last up to 10 times longer than current lithium ion batteries do. This would have major ramifications for everything from cell phone batteries to the lithium twin pack starters used in transportation to start airplanes, boats and trains with turbine engines.